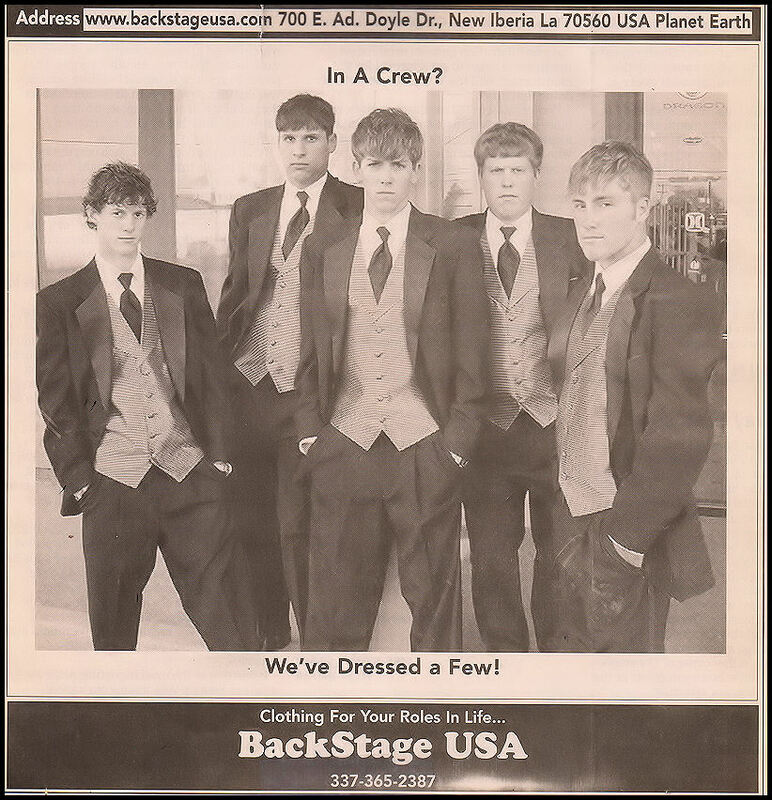 Many of you already know… but if you aren’t aware, Backstage no longer rents Tuxedos. Mardi Gras Balls are winding down and Prom Season begins in a few short weeks. So it seems an appropriate time to thank all you for many years of support. We will miss you. We should have a little time now to go back in time and find photos for TBTs. The market place continues to change and as always we must adapt. We have some fun things planned for 2014…stay tuned. This entry was posted in Throw Back Photos and tagged Throw Back. Bookmark the permalink.